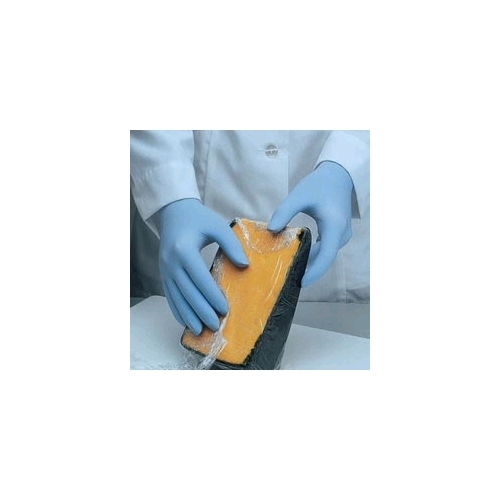 Thin-gauge nitrile gloves offer increased levels of tactile sensitivity, comfort, dexterity, and puncture resistance Protects against bloodborne pathogens Unique, patented low-modulus form-fitting formula allows gloves to relax on hands, reducing perspiration and hand fatigue Made of 100% soft nitrile; no natural rubber proteins. Complies with 21 CFR, 170-199: Acceptable for use in both food and pharmaceutical applications. Made in U.S.A. Ambidextrous low-powder disposable glove. For general and laboratory use. 9-1/2 in. long. Blue. Made in USA.